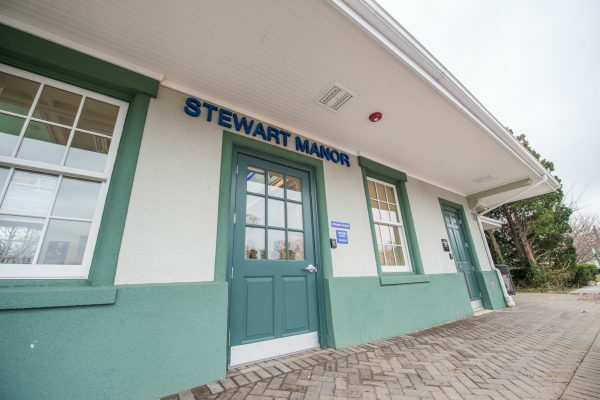 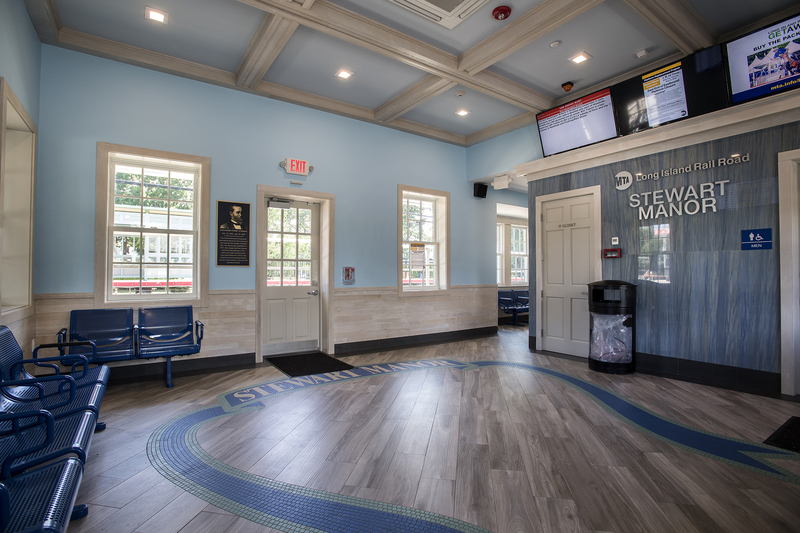 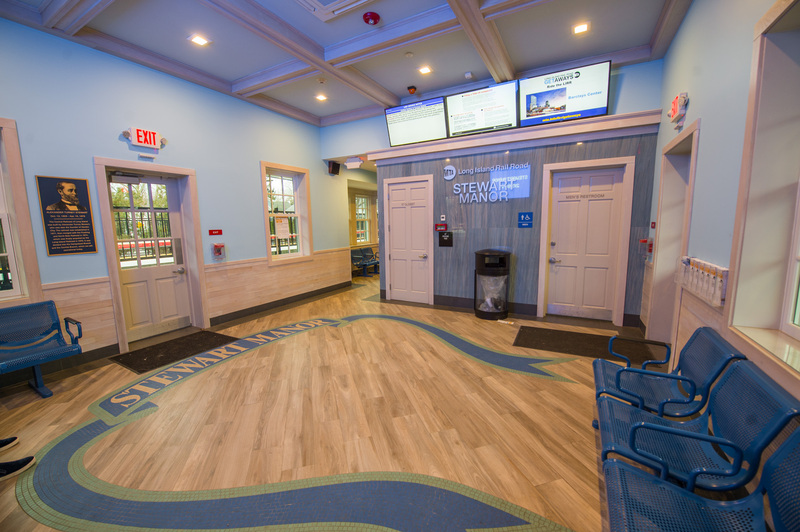 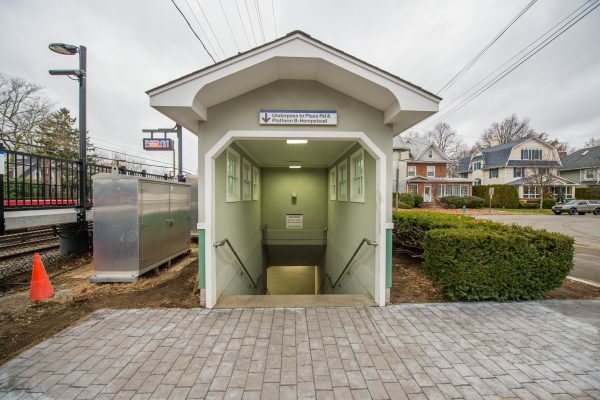 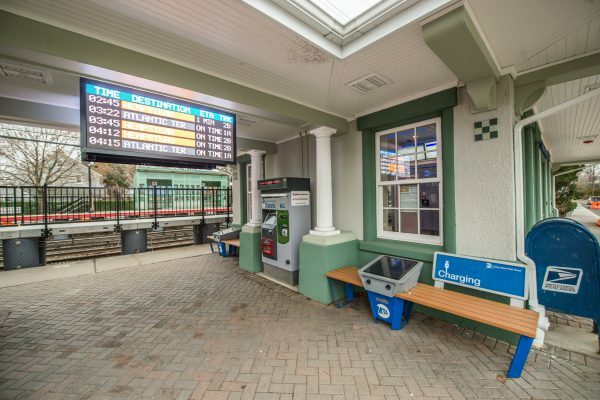 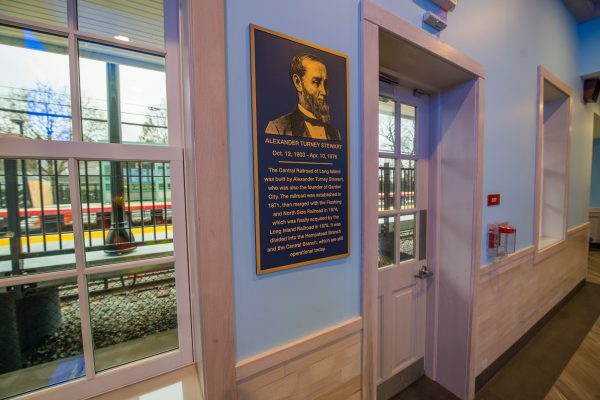 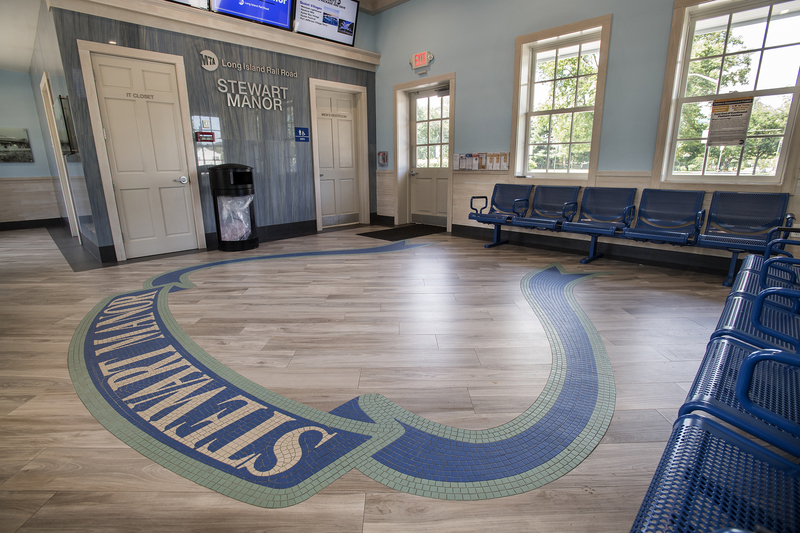 Stewart Manor Station has been modernized and improved. 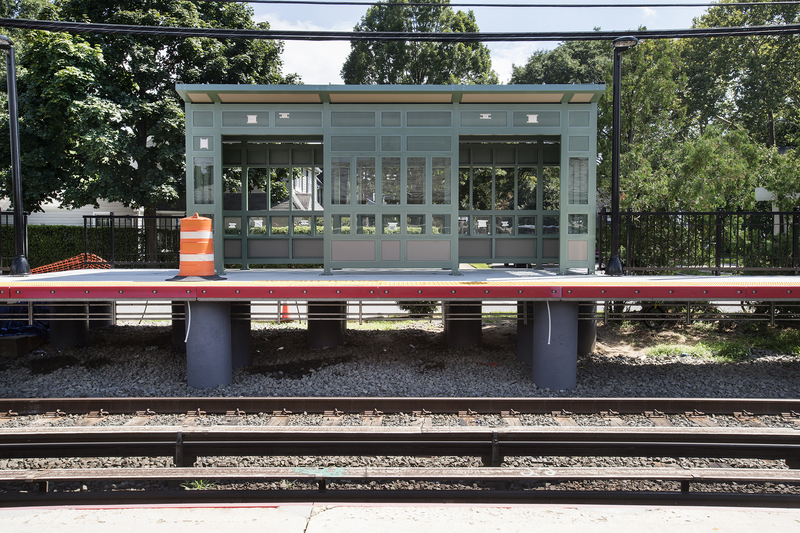 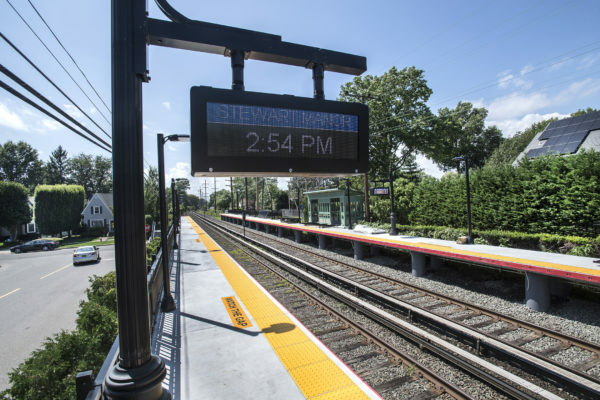 Construction at Stewart Manor Station, on the Hempstead Branch, has been completed, and both station platforms have been replaced. 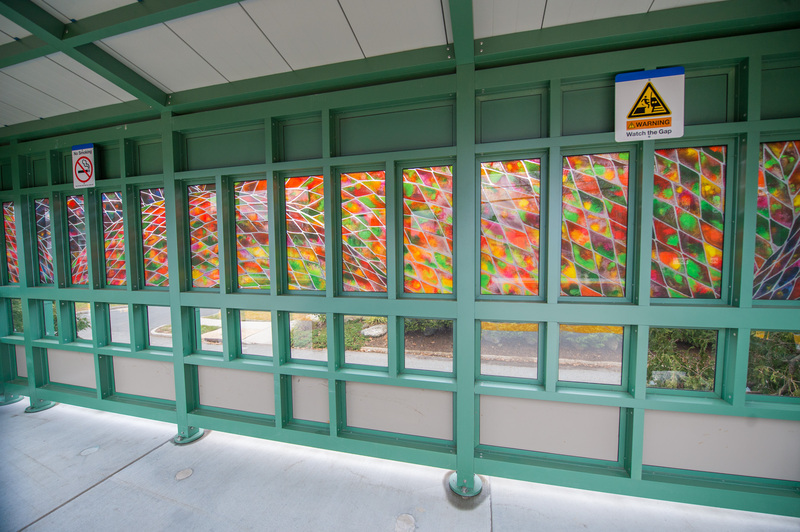 The first phase of construction, completed in August 2017, was dedicated to renovating the interior and exterior of the building and rehabilitating the pedestrian underpass; the second phase of construction entailed enhancements to the platform environment and improvements to enrich the customer experience. 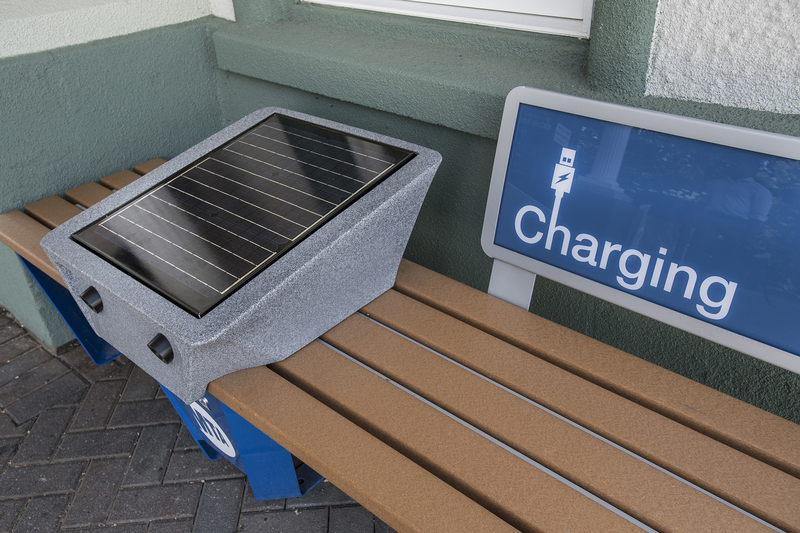 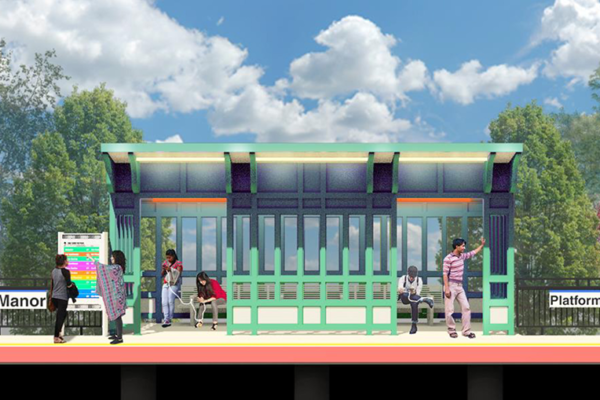 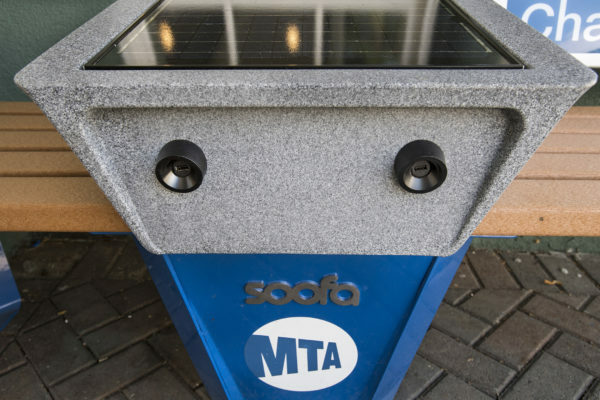 The new platforms are now equipped with shelters featuring CCTV security cameras, LED lighting, MTA help points, new signage, permanent artwork and Wi-Fi. 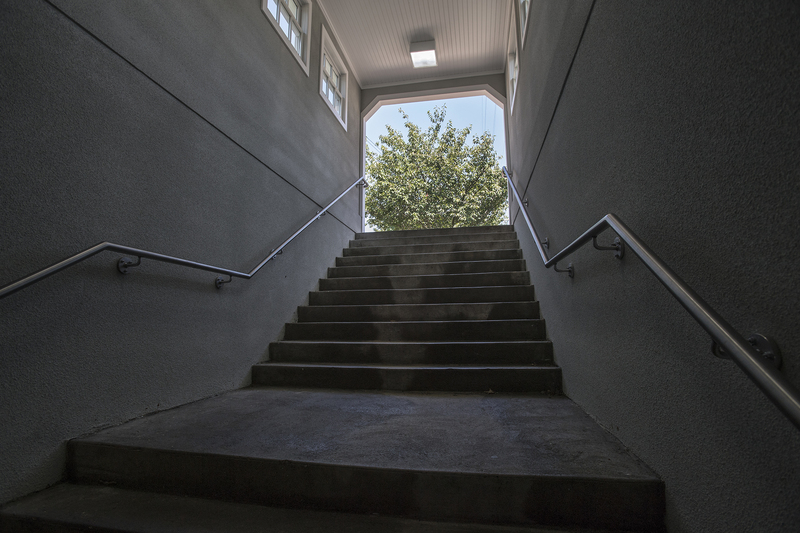 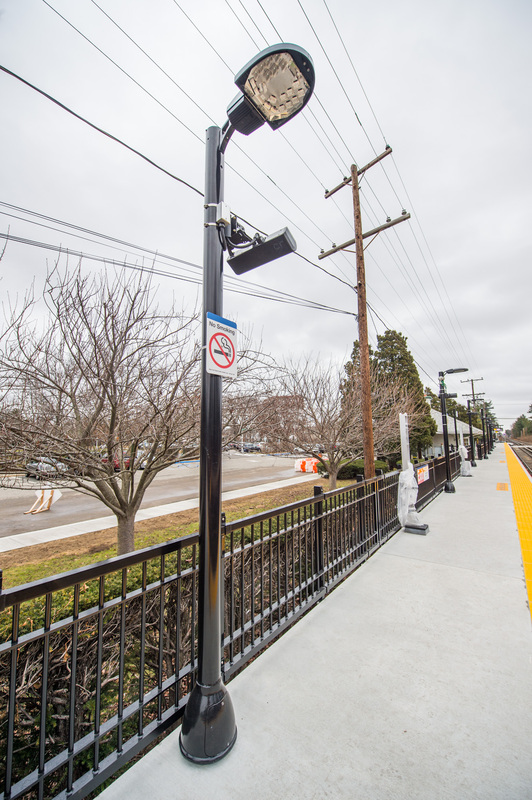 New light poles, stairs, concrete work and speaker systems have been installed on the platforms to improve station announcements and customer communications. 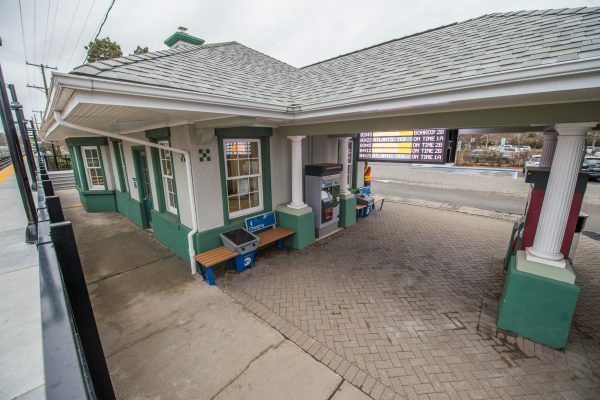 The replacement work was done in four consecutive stages to prevent full closure on either side of the station: a portion of each platform always remained accessible to customers at all times to board and disembark from trains in both directions. 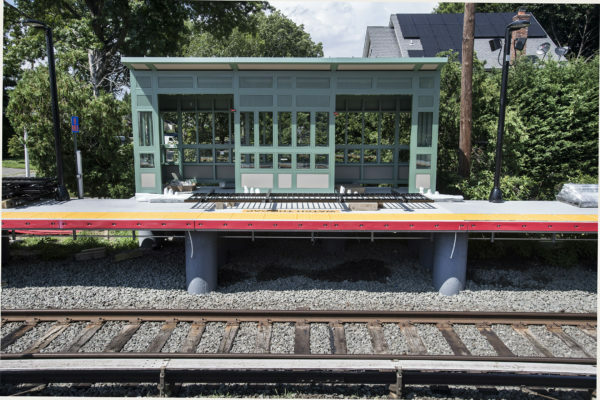 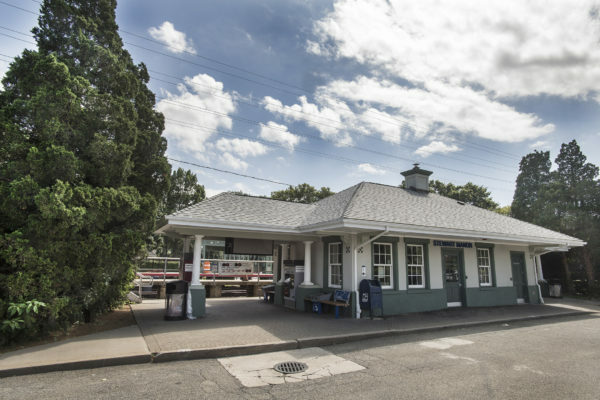 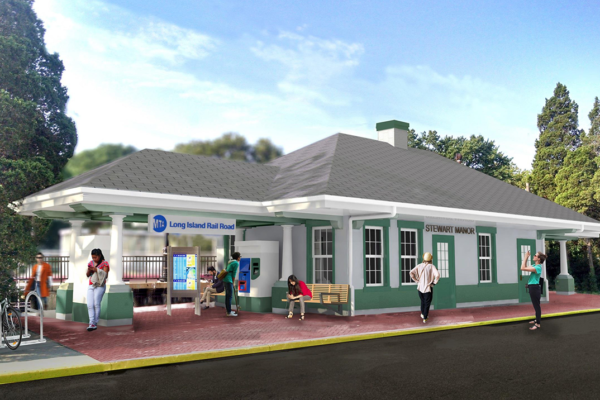 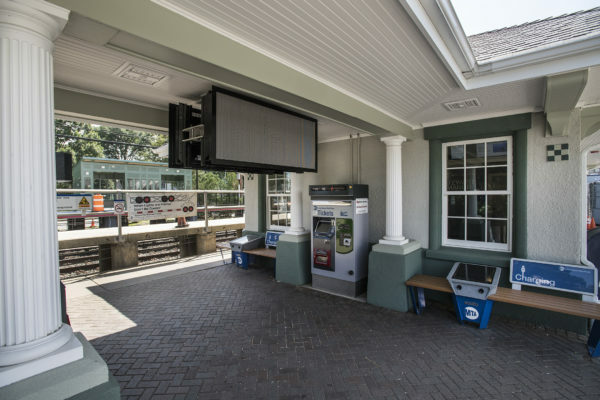 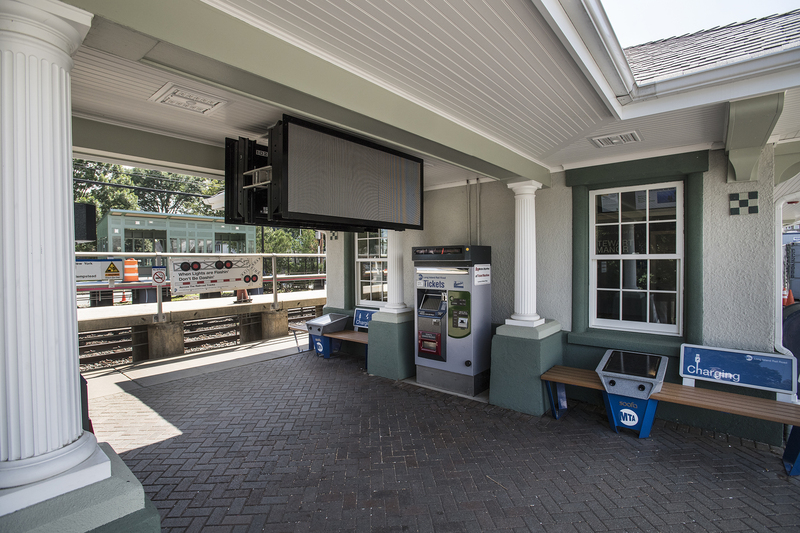 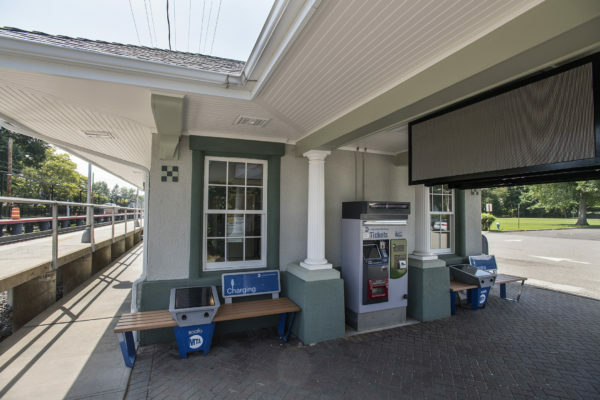 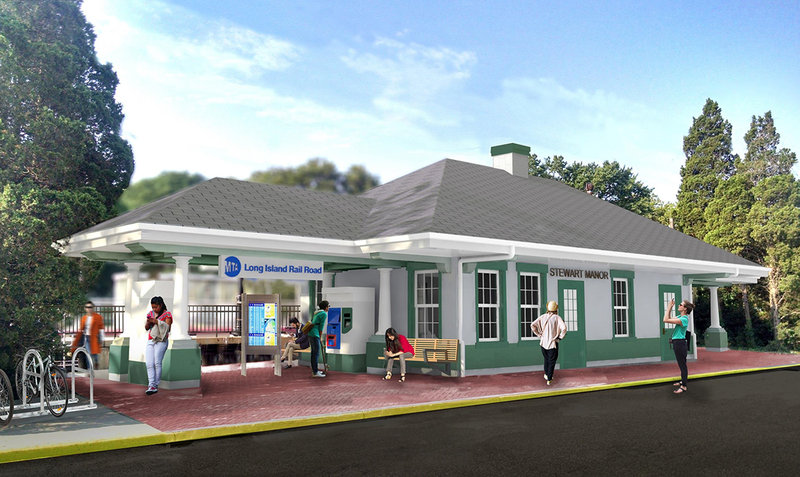 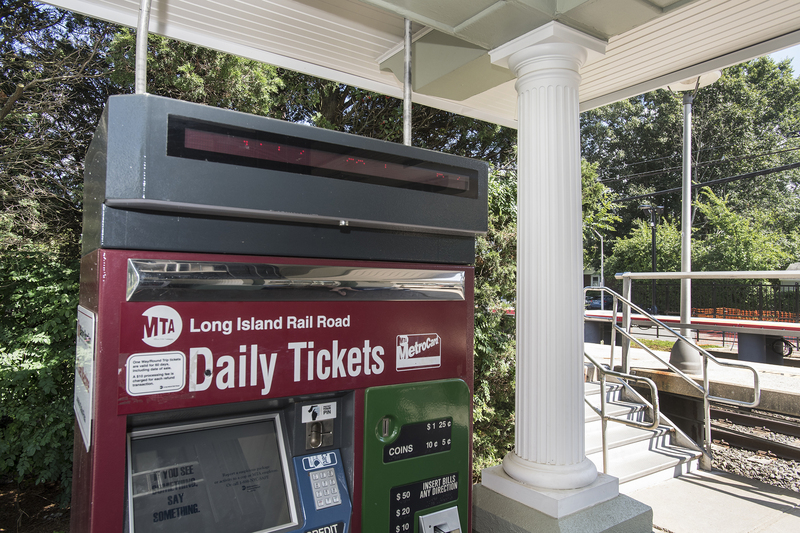 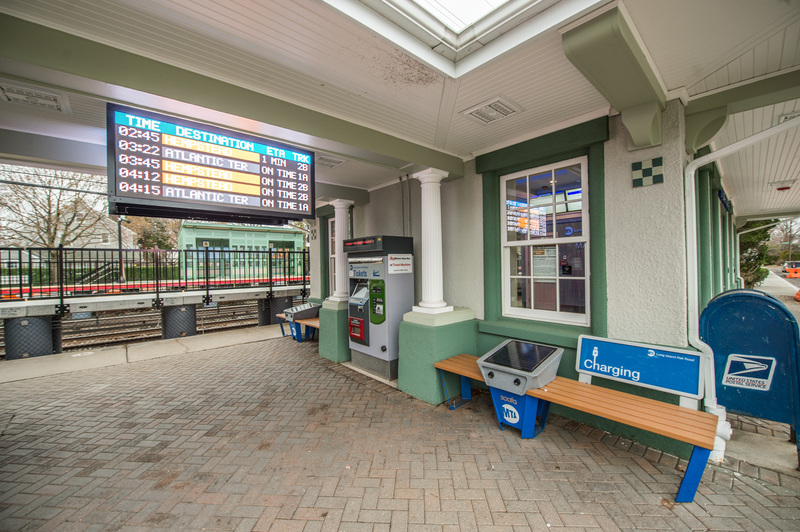 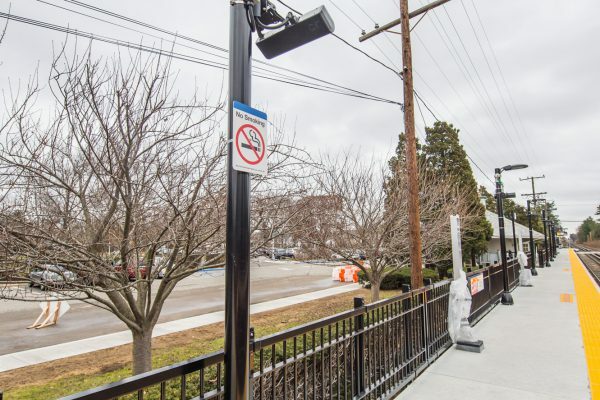 The replacement of the platforms at Stewart Manor and the enhancements to the station are part of a broader LIRR initiative to strengthen and support the growth and development of Long Island. 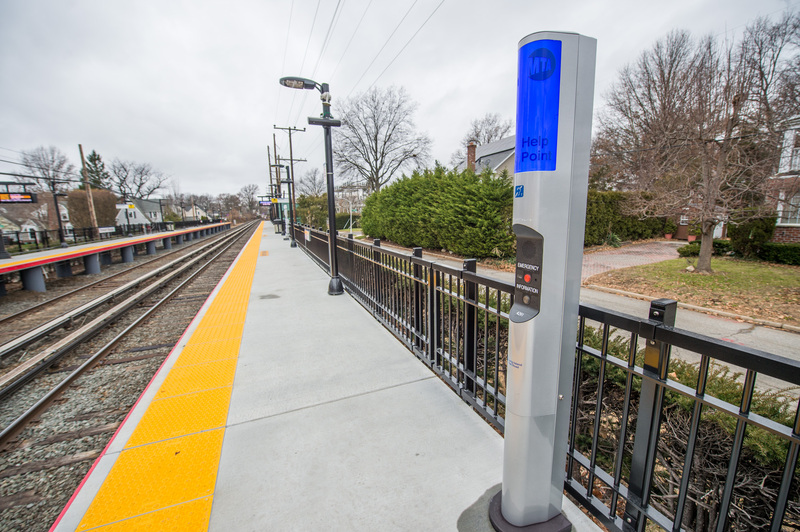 New platform edge tactile warning strips and rubbing boards have been installed for your safety. 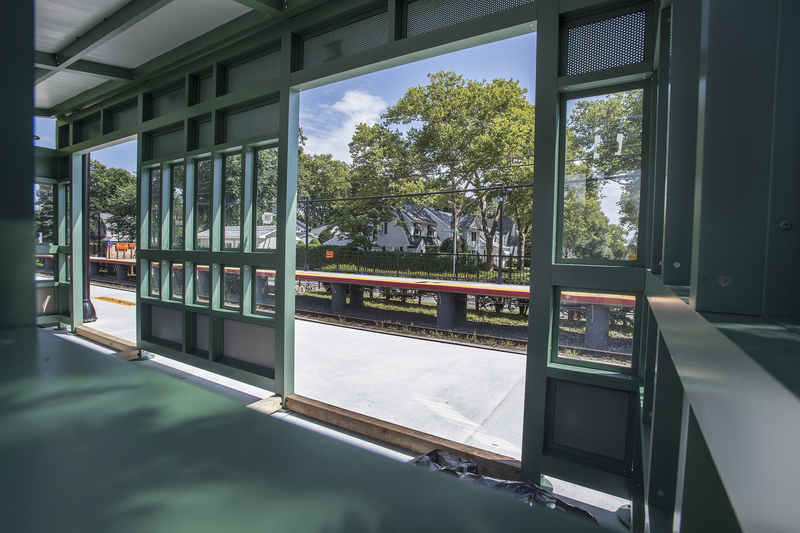 Additional ongoing work at Stewart Manor includes art glass fabrication, platform railing installation and shelter shed construction. 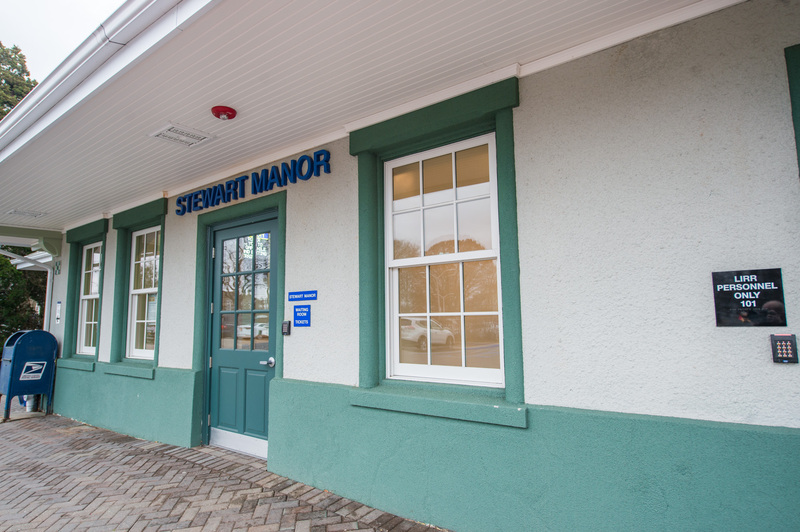 Enhancements to the Stewart Manor Station are underway, and the exterior lighting has been updated. 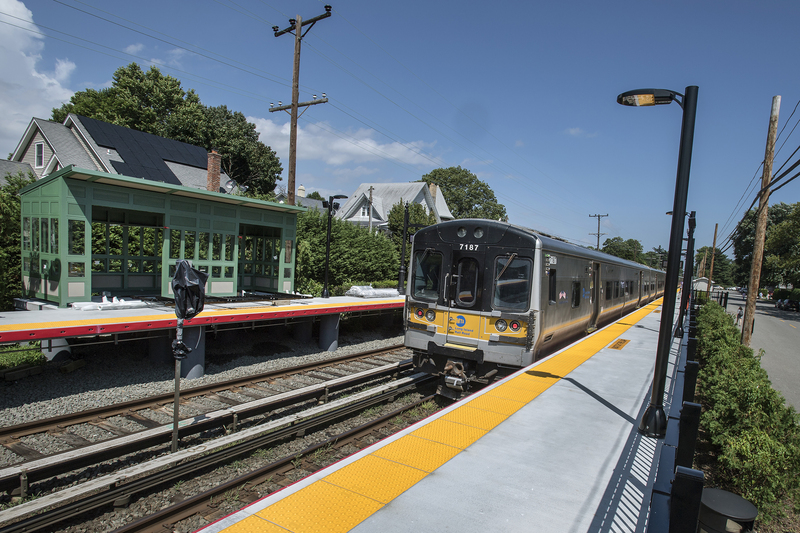 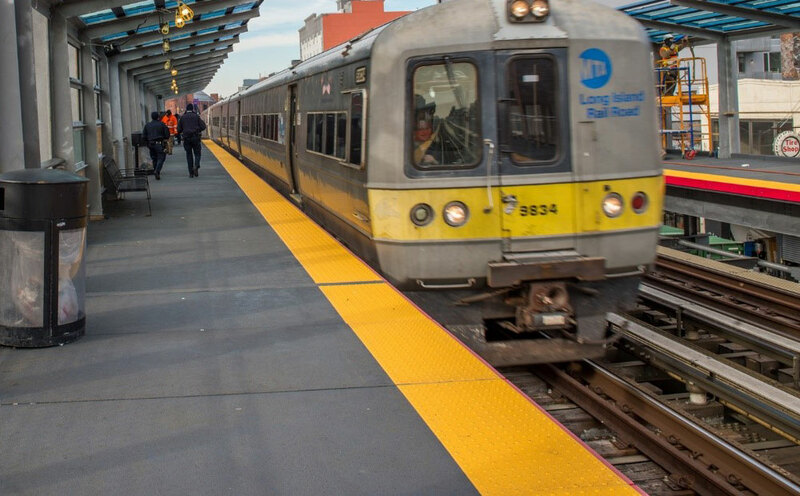 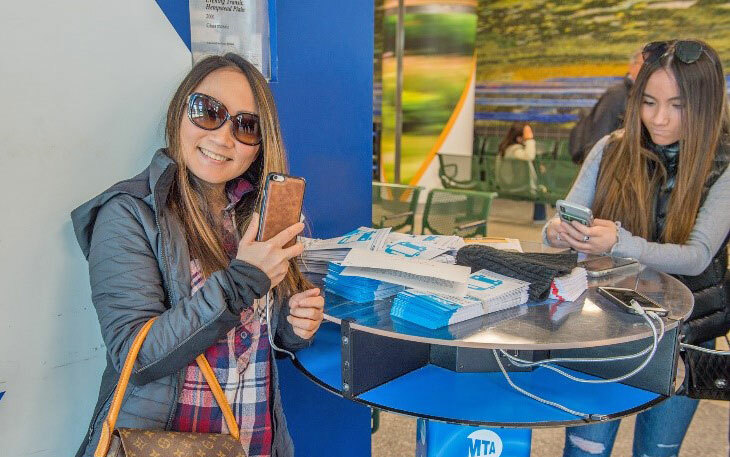 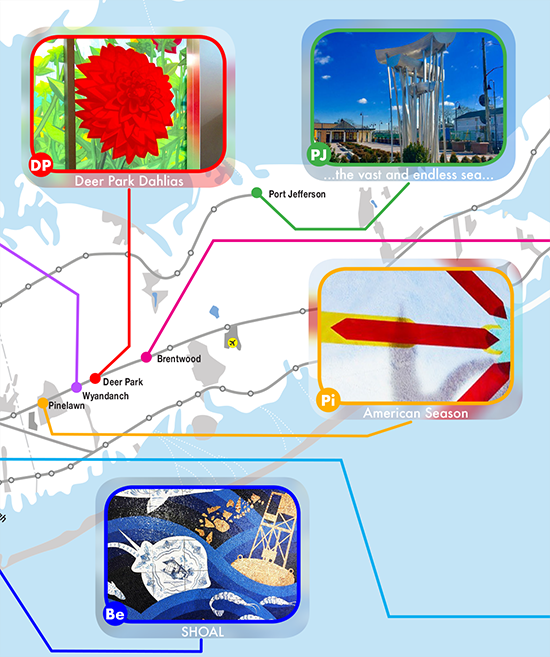 A sequence of improvements are planned in the upcoming weeks as part of a broader MTA LIRR initiative to support the growth and development of Long Island. 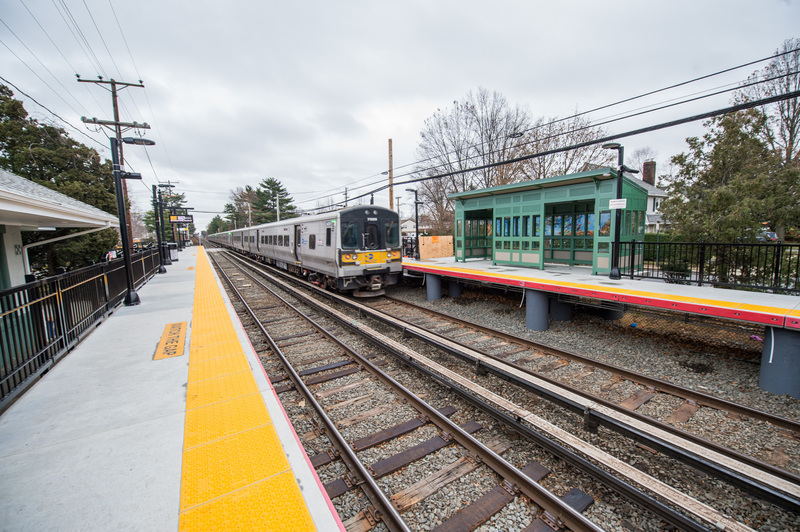 New railings have been delivered to Stewart Manor Station, and all the elements are in place to begin the installation. Construction is underway for the Stewart Manor station enhancements such as rehabilitated sidewalks, ramps, and shelter shed improvements. 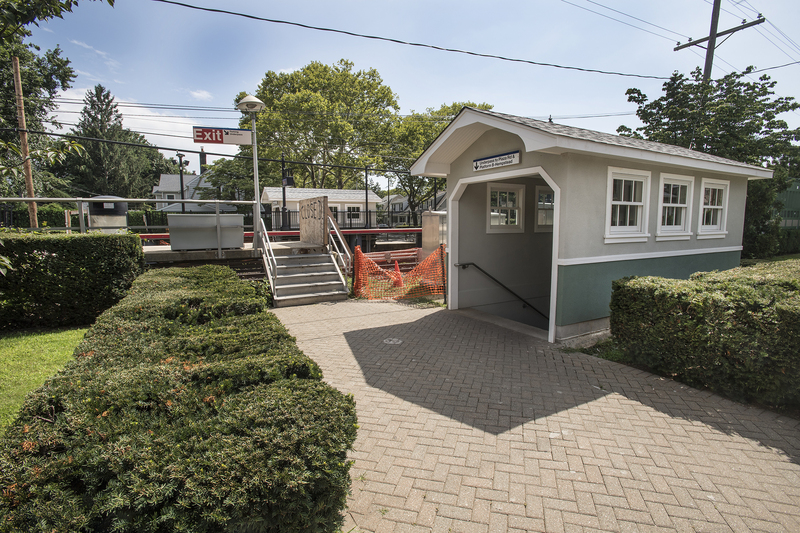 Rehabilitating the space around the stations is a priority for MTA LIRR and important to accommodate future increases in ridership. Phase 1 construction complete. Phase 2 construction ongoing.